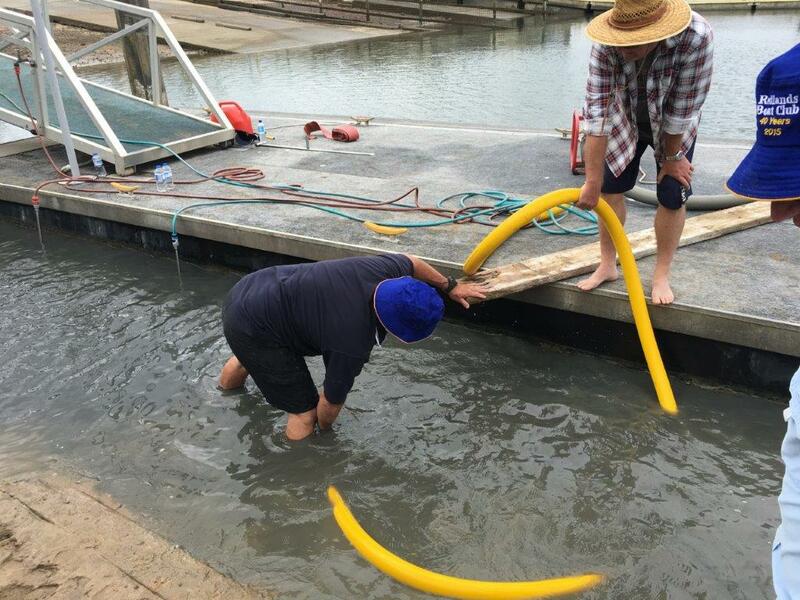 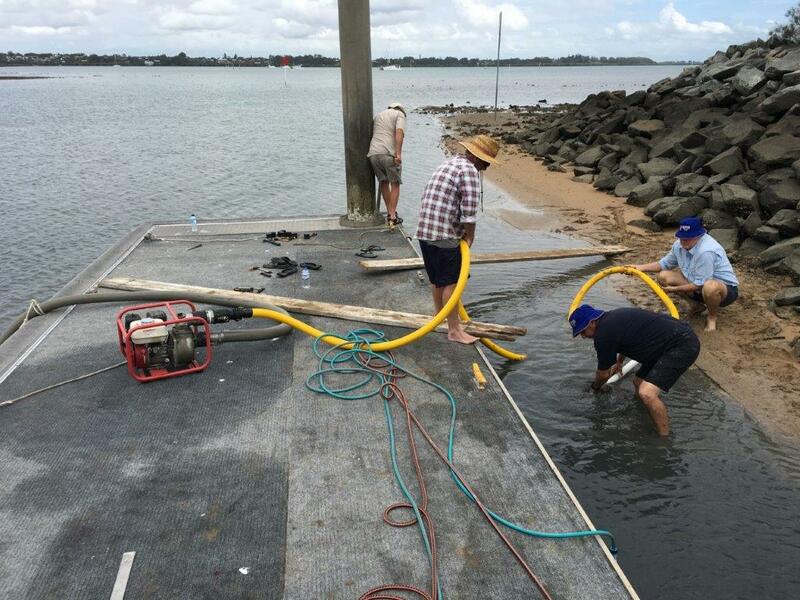 Pontoon Sand Removal - Redlands Boat Club Inc.
On the low tide on Saturday the 11th of November 2017, we had another go at removing the sand from under the RBC pontoon. 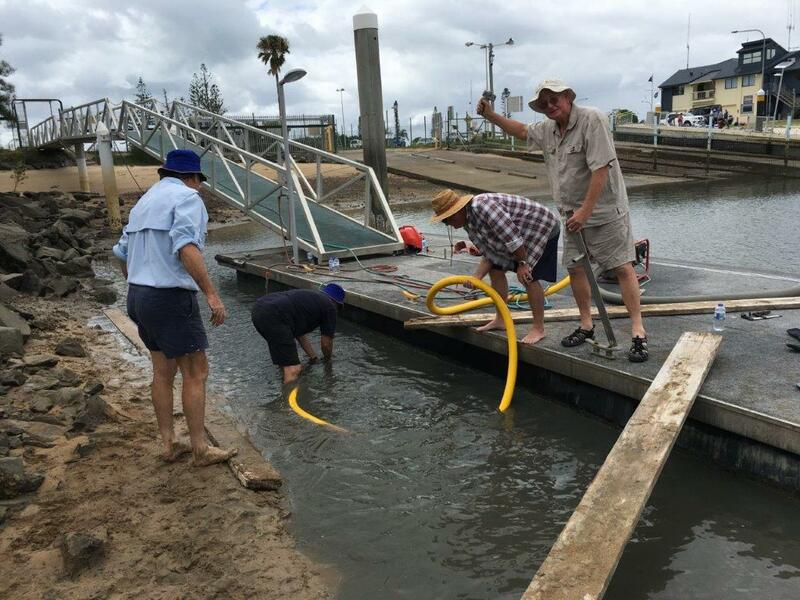 This time a high volume water pump was borrowed from Raby Bay VMR to attach to a water lance to blast the sand out from under to pontoon. 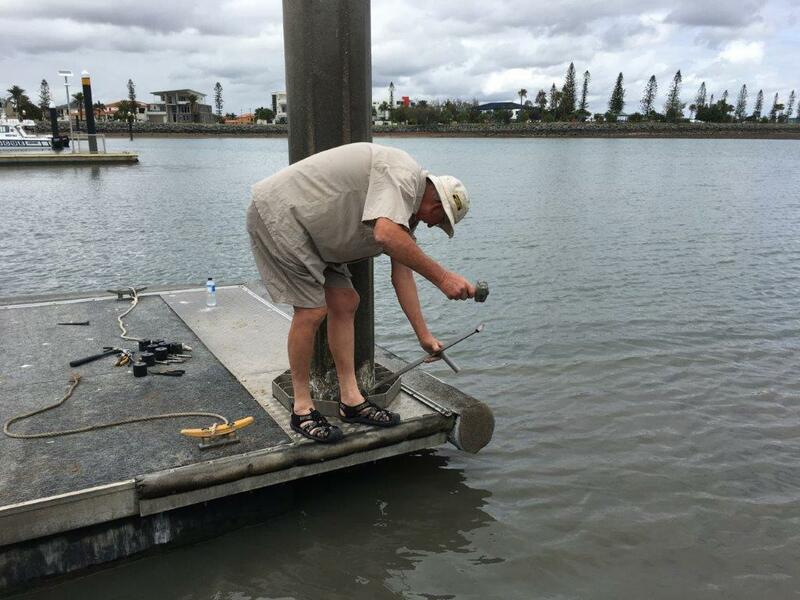 A big thank you to Trevor Higgins for making up the lance and leading the efforts on the day. 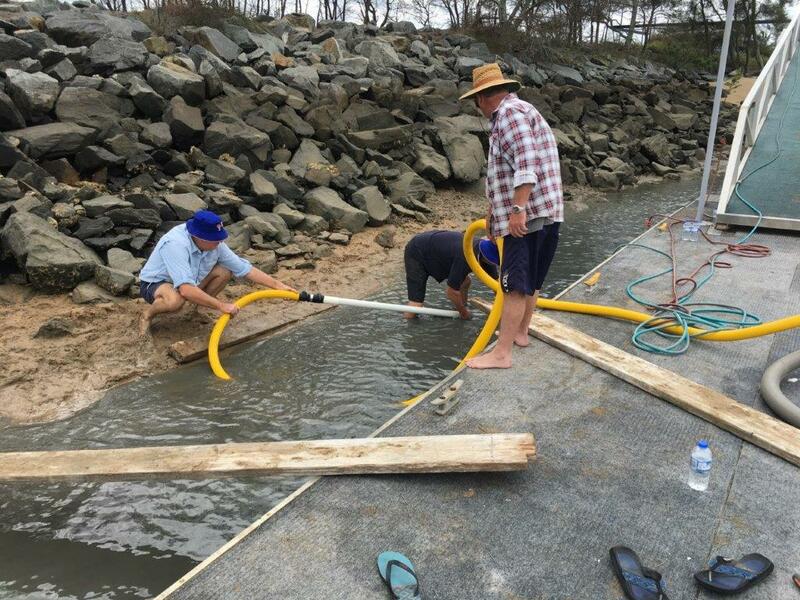 Also thank you to Commodore Mike Streets, Gary Bowden, Terry Crocker and Doug Ross for helping out during the morning. 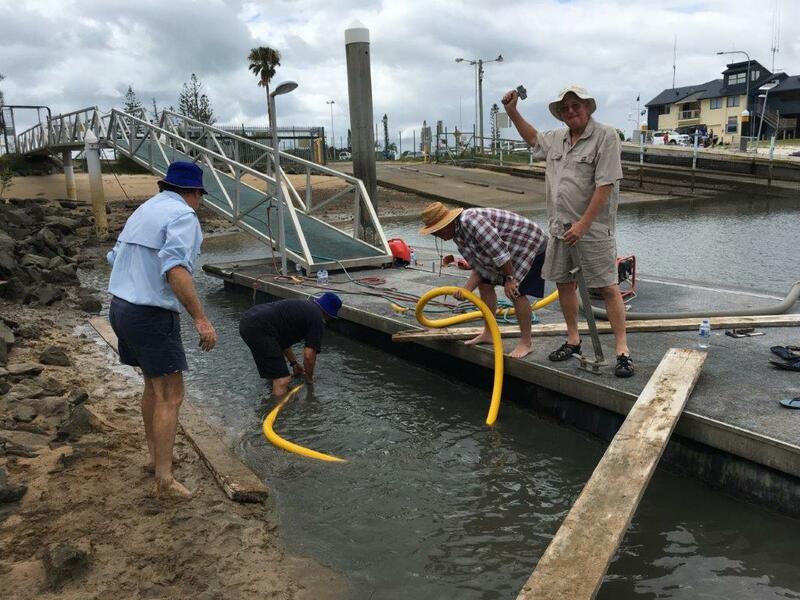 We think we have nailed it this time the Pontoon will be floating again at low tide!